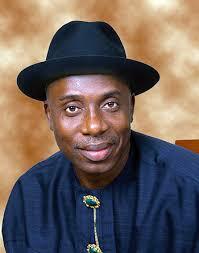 Minister of Transportation, Rotimi Chibuike Amaechi, has said that the Federal Government saved a whopping sum of N34 billion using direct labour to dredge the 162km Ajaokuta-Onitsha waterways. He made the disclosure during the flag-off and maintenance of dredging of the waterways, where he commended the Managing Director and staff of the National Inland Waterways Authority (NIWA), an agency under his ministry, for mobilising their dredgers to carry out the project instead of awarding the contract to the tune of N47 billion as in the past administration. “You recall that the past administration awarded a dredging contract worth N47 billion but the management and staff of NIWA decided to save the Federal Government the sum of N34 billion by using direct labour. “That is why I have directed the NIWA CEO to ensure that there should be a provision for what you could refer to as 13 months salary to reward the staff. Yes, it is not your entitlement but government should learn how to show gratitude to spur the staff into more action. “I have also directed the CEO to include in the next year’s budget a provision to buy a bigger dredger to handle other projects. This project is a good idea that the NIWA boss tries to get back our old dredgers to do the dredging by ourselves, instead of contracting it, especially as we don’t have money to award the contract. “Those companies that can use barges can move their freight since it is 2.5-metre raft. We just want the waterways to be navigable,” the minister said.